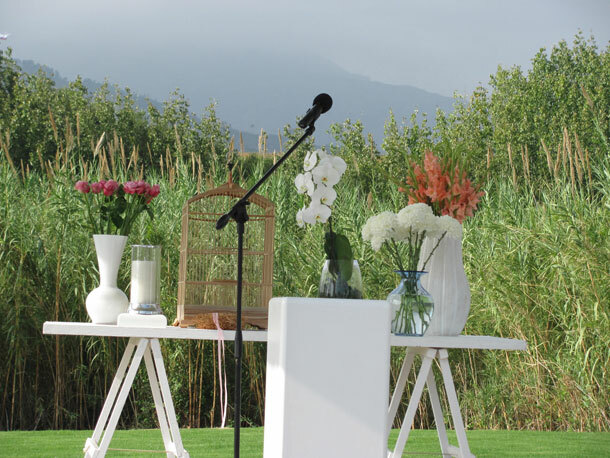 You are here \ South Africa Weddings \ Tie The Knot \ Bride To Be \ Candice’s Bridal Diary: Flowers! There is an increasing use of local foliage – proteas are making a name for themselves as statement bouquets and rustic table arrangements and simple “field” greenery is seen being added to arrangements. Cacti and succulents are also being seen on table arrangements – in little metal containers on a wooden log, they’d make a gorgeous woodland-themed centerpiece. This is a theme I personally adore, and will definitely be making use of. It seems as though weddings are veering away from the realm of the professional florist, and taking on a more unique, individual approach – buying your own flowers, recruiting friends or family to help arrange them – even making vases. There are images of beautiful glass containers with hessian twine wrapped around theme, holding gorgeous pink proteas with local greenery. Delicate, unique and absolutely gorgeous. Another positive of using local foliage and a little DIY – it tends to last longer. If you’re lucky, you’ll still have a few gorgeous blooms to welcome you home after honeymoon, but if not – there will still be all your loved vases / containers which you can use throughout your home – a constant reminder of your beautiful day.